With fireworks at weddings becoming more popular, to stand out, more couples are now opting to have pyromusical wedding fireworks instead. Starting from as little as £1500 fully inclusive (no extras added on such as PA system commonly a £200 + addition), we will take your chosen music and make the fireworks dance to the music. Every wedding pyromusical we create is bespoke, simply any music can be chosen – from Rock, Drum ‘n’ Base to Pop and Classical, we have no limitations. Sirotechnics are The British Musical Fireworks Champions of Champions with a huge portfolio of private, corporate and public customers. No site is too small and we can have a vast collection of previous shows for you to browse on Vimeo too. Fully insured and trained to work at any venue, Sirotechnics aim to offer not only great value but also exceptional customer service. 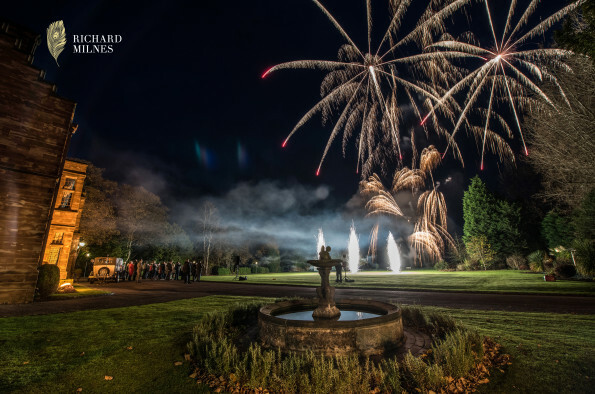 To discuss your Pyromusical Wedding Fireworks just get in touch below or call us on 0121 769 2064 – We look forward to speaking with you soon!